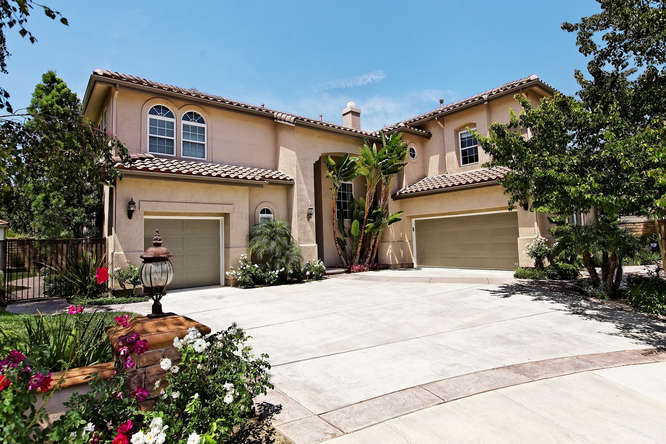 Alex Gandel, #1 Realtor with Troop Real Estate 2011-2013, Simi Valley, California, has just listed a beautiful 5 bedroom, 3.5 bath, Shadowhawk home in east Simi Valley with outstanding features such as a cul-de-sac location and an upstairs loft. SIMI VALLEY, Calif. - Aug. 16, 2014 - PRLog -- Distinguished Shadowhawk executive cul-de-sac home featuring 5 bedrms, 3.5 bathrms, 1 convenient en suite bed/bath downstairs, & elegant upgrades including custom window coverings, decorative valances, chandeliers w/ceiling medallions, porthole windows, lighted wall insets, elegant wood flooring, custom faux painted walls, maple wood built-ins & cabinetry, a gourmet granite island kitchen, a beautiful fireplace in the FR, a breakfast nook w/a slider to the professionally hardscaped & landscaped backyard w/2 covered patios & walkways, a side dog run, a fire pit & a serene fountain w/benches & a grassy yard. The spacious upper level features an open loft w/built-ins, a well-appointed MBR w/a spacious master bathrm displaying an oval tub, His & Hers closets, dual vanities & an over-sized shower. Also, there are 3 spacious secondary bedrms upstairs w/a computer niche. This is a magnificent home located near frwy access, hiking, biking & walking trails, parks & award-winning schools!